ELLEN JOHNSON SIRLEAF, LEYMAH GBOWEE and TAWAKKUL KARMAN for their non-violent struggle for the safety of women and for women's rights to full participation in peace-building work. LIU XIAOBO for his long and non-violent struggle for fundamental human rights in China. BARACK OBAMA for his extraordinary efforts to strengthen international diplomacy and cooperation between peoples. MARTTI AHTISAARI for his important efforts, on several continents and over more than three decades, to resolve international conflicts. INTERGOVERNMENTAL PANEL ON CLIMATE CHANGE (IPCC) and ALBERT ARNOLD ( AL) GORE JR. for their efforts to build up and disseminate greater knowledge about man-made climate change, and to lay the foundations for the measures that are needed to counteract such change. MUHAMMAD YUNUS and GRAMEEN BANK for their efforts to create economic and social development from below. INTERNATIONAL ATOMIC ENERGY AGENCY and MOHAMED ELBARADEI for their efforts to prevent nuclear energy from being used for military purposes and to ensure that nuclear energy for peaceful purposes is used in the safest possible way. KIM DAE JUNG for his work for democracy and human rights in South Korea and in East Asia in general, and for peace and reconciliation with North Korea in particular. DOCTORS WITHOUT BORDERS (MÉDECINS SANS FRONTIÈRES), Brussels, Belgium. JOHN HUME and DAVID TRIMBLE for their efforts to find a peaceful solution to the conflict in Northern Ireland. INTERNATIONAL CAMPAIGN TO BAN LANDMINES (ICBL) and JODY WILLIAMS for their work for the banning and clearing of anti-personnel mines. CARLOS FELIPE XIMENES BELO and JOSE RAMOS-HORTA for their work towards a just and peaceful solution to the conflict in East Timor. JOSEPH ROTBLAT and to the PUGWASH CONFERENCES ON SCIENCE AND WORLD AFFAIRS for their efforts to diminish the part played by nuclear arms in international politics and in the longer run to eliminate such arms. YASSER ARAFAT , Chairman of the Executive Committee of the PLO, President of the Palestinian National Authority. SHIMON PERES , Foreign Minister of Israel. YITZHAK RABIN , Prime Minister of Israel. NELSON MANDELA Leader of the ANC. FREDRIK WILLEM DE KLERK President of the Republic of South Africa. RIGOBERTA MENCHU TUM, Guatemala. Campaigner for human rights, especially for indigenous peoples. AUNG SAN SUU KYI, Burma. Oppositional leader, human rights advocate. MIKHAIL SERGEYEVICH GORBACHEV , President of the USSR, helped to bring the Cold War to an end. THE 14TH DALAI LAMA (TENZIN GYATSO) , Tibet. Religious and political leader of the Tibetan people. THE UNITED NATIONS PEACE-KEEPING FORCES New York, NY, U.S.A.
OSCAR ARIAS SANCHEZ , Costa Rica, President of Costa Rica, initiator of peace negotiations in Central America. ELIE WIESEL , U.S.A., Chairman of 'The President's Commission on the Holocaust'. Author, humanitarian. INTERNATIONAL PHYSICIANS FOR THE PREVENTION OF NUCLEAR WAR Boston, MA, U.S.A.
DESMOND MPILO TUTU , South Africa, Bishop of Johannesburg, former Secretary General South African Council of Churches (S.A.C.C.). for his work against apartheid. LECH WALESA , Poland. Founder of Solidarity, campaigner for human rights. ALVA MYRDAL , former Cabinet Minister, diplomat, delegate to United Nations General Assembly on Disarmament, writer. ALFONSO GARCÍA ROBLES , diplomat, delegate to the United Nations General Assembly on Disarmament, former Secretary for Foreign Affairs . OFFICE OF THE UNITED NATIONS HIGH COMMISSIONER FOR REFUGEES Geneva, Switzerland. ADOLFO PEREZ ESQUIVEL , Argentina, architect, sculptor and human rights leader. MOTHER TERESA , India, Leader of the Order of the Missionaries of Charity. MOHAMED ANWAR AL-SADAT , President of the Arab Republic of Egypt. MENACHEM BEGIN , Prime Minister of Israel. AMNESTY INTERNATIONAL London, Great Britain. A worldwide organization for the protection of the rights of prisoners of conscience. BETTY WILLIAMS and MAIREAD CORRIGAN Founders of the Northern Ireland Peace Movement (later renamed Community of Peace People). ANDREI DMITRIEVICH SAKHAROV , Soviet nuclear physicist. Campaigner for human rights. SEÁN MAC BRIDE , President of the International Peace Bureau, Geneva, and the Commission of Namibia, United Nations, New York. EISAKU SATO , Prime Minister of Japan. HENRY A. KISSINGER , Secretary of State, State Department, Washington. The prize money for 1972 was allocated to the Main Fund. WILLY BRANDT , Federal Republic of Germany, Chancellor of the Federal Republic of Germany, initiator of West Germany's Ostpolitik, embodying a new attitude towards Eastern Europe and East Germany. NORMAN BORLAUG , Led research at the International Maize and Wheat Improvement Center, Mexico City. INTERNATIONAL LABOUR ORGANIZATION (I.L.O.) Geneva. RENÉ CASSIN , President of the European Court for Human Rights . UNITED NATIONS CHILDREN'S FUND (UNICEF) New York, founded by U.N. in 1946. An international aid organization. MARTIN LUTHER KING JR. , leader of the Southern Christian Leadership Conference, campaigner for civil rights. COMITÉ INTERNATIONAL DE LA CROIX-ROUGE (INTERNATIONAL COMMITTEE OF THE REDCROSS) Geneva, founded 1863. LIGUE DES SOCIÉTÉS DE LA CROIX-ROUGE (LEAGUE OF RED CROSS SOCIETIES) Geneva. LINUS CARL PAULING , California Institute of Technology, Pasadena, CA. Campaigner especially for an end to nuclear weapons tests. DAG HJALMAR AGNE CARL HAMMARSKJÖLD , Secretary General of the United Nations (awarded the Prize posthumously). ALBERT JOHN LUTULI , President of the South Africal liberation movement, the African National Congress. PHILIP J. NOEL-BAKER , Great Britain, Member of Parliament, life long ardent worker for international peace and co-operation . GEORGES HENRI PIRE , Belgium, Father of the Dominican Order, Leader of the relief organization for refugees, l'Europe du Coeur au Service du Monde. LESTER BOWLES PEARSON , former Secretary of State for External Affairs of Canada, President 7th Session of the United Nations General Assembly . OFFICE OF THE UNITED NATIONS HIGH COMMISSIONER FOR REFUGEES Geneva, an international relief organization, founded by U.N. in 1951. GEORGE CATLETT MARSHALL , General, President American Red Cross, ex-Secretary of State and of Defense, Delegate to the U.N., Originator of the Marshall Plan. ALBERT SCHWEITZER , Missionary surgeon, Founder Lambaréné Hospital in République du Gabon. LÉON JOUHAUX , France, President of the trade union C.G.T. Force Ouvrière. President of the International Committee of the European Council, Vice President of the International Confederation of Free Trade Unions, Vice President of the World Federation of Trade Unions, member of the ILO Council, delegate to the UN. RALPH BUNCHE , Professor Harvard University, Cambridge, MA, Director of the UN Division of Trusteeship, Acting Mediator in Palestine 1948. LORD JOHN BOYD ORR OF BRECHIN , Physician, Alimentary Politician, prominent organizer and Director General Food and Agricultural Organization, President National Peace Council and World Union of Peace Organizations. THE FRIENDS SERVICE COUNCIL (The Quakers), London. Founded in 1647. THE AMERICAN FRIENDS SERVICE COMMITTEE (The Quakers), Washington. The society's first official meeting was held in 1672. EMILY GREENE BALCH, former Professor of History and Sociology, Honorary International President Women's International League for Peace and Freedom. 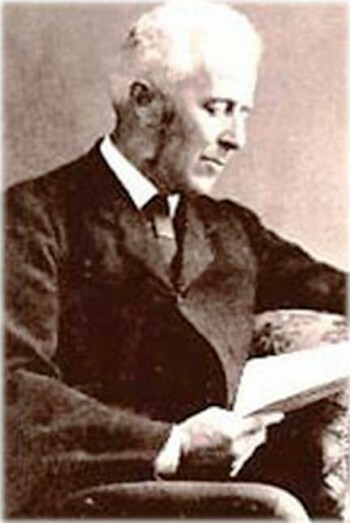 JOHN RALEIGH MOTT Chairman of the first International Missionary Council, President of the World Alliance of Young Men's Christian Associations . CORDELL HULL Former Secretary of State. One of the initiators of the United Nations. OFFICE INTERNATIONAL NANSEN POUR LES RÉFUGIÉS (NANSEN INTERNATIONAL OFFICE FOR REFUGEES) an international relief organization in Geneva started by Fridtjof Nansen in 1921. CECIL OF CHELWOOD, VISCOUNT, (LORD EDGAR ALGERNON ROBERT GASCOYNE CECIL) , Writer, Former Lord Privy Seal. Founder and President of the International Peace Campaign. CARLOS SAAVEDRA LAMAS Foreign Minister. 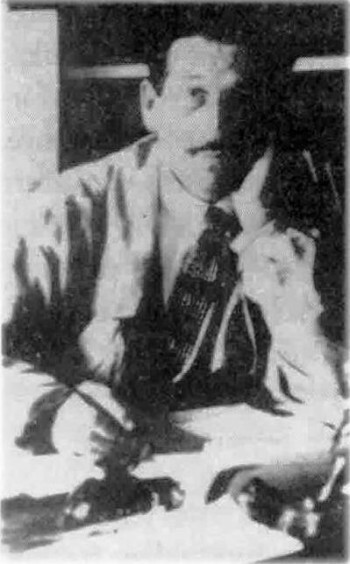 President of the Société des Nations (League of Nations), Meditator in a conflict between Paraguay and Bolivia in 1935. CARL VON OSSIETZKY Journalist (with Die Weltbühne, among others), pacifist. ARTHUR HENDERSON Former Foreign Secretary. Chairman of the League of Nations Disarmament Conference 1932-1934. SIR NORMAN ANGELL (RALPH LANE) Writer. Member of the Commission Exécutive de la Société des Nations (Executive Committee of the League of Nations) and the National Peace Council. Author of the book The Great Illusion, among others. The prize money for 1932 was allocated to the Special Fund of this prize section. JANE ADDAMS Sociologist. International President of the Women's International League for Peace and Freedom. NICHOLAS MURRAY BUTLER President of Columbia University. Promoter of the Briand-Kellogg Pact. LARS OLOF NATHAN (JONATHAN) SÖDERBLOM Archbishop. Leader of the ecumenical movement. FRANK BILLINGS KELLOGG Former Secretary of State, Negotiated the Briand-Kellogg Pact. The prize money for 1928 was allocated to the Special Fund of this prize section. FERDINAND BUISSON Former Professor at the Sorbonne University, Paris. Founder and President of the Ligue des Droits de l'Homme (League for Human Rights). LUDWIG QUIDDE Historian. Professor at Berlin University. Member of Germany's constituent assembly 1919. Delegate to numerous peace conferences. ARISTIDE BRIAND Foreign Minister. Negotiator of the Locarno Treaty and the Briand-Kellogg Pact. GUSTAV STRESEMANN Former Lord High Chancellor (Reichs-kanzler). Foreign Minister. Negotiator of the Locarno Treaty. SIR AUSTEN CHAMBERLAIN Foreign Minister. Negotiator of the Locarno Treaty. CHARLES GATES DAWES Vice-President of the United States of America. Chairman of the Allied Reparation Commission. Originator of the Dawes Plan . The prize money for 1924-1923 was allocated to the Special Fund of this prize section. FRIDTJOF NANSEN , Norway. Scientist. Explorer. Norwegian Delegate to Société des Nations (League of Nations). Originator of the Nansen passports (for refugees). KARL HJALMAR BRANTING Prime Minister. Swedish Delegate to the Conseil de la Société des Nations (Council of the League of Nations). CHRISTIAN LOUS LANGE Secretary General of the Inter-Parliamentary Union, Brussels. LÉON VICTOR AUGUSTE BOURGEOIS, France. Former Secretary of State. President of the Parliament (Sénat). President of the Conseil de la Société des Nations (Council of the League of Nations) . The prize money for 1918 was allocated to the Special Fund of this prize section. COMITÉ INTERNATIONAL DE LA CROIX ROUGE (INTERNATIONAL COMMITTEE OF THE REDCROSS) , Geneva. The prize money for 1916-1914 was allocated to the Special Fund of this prize section. HENRI LA FONTAINE, Belgium. Member of the Belgian Parliament (Sénateur). President of the Permanent International Peace Bureau, Berne. ELIHU ROOT Former Secretary of State. Initiator of several arbitration agreements. TOBIAS MICHAEL CAREL ASSER, the Netherlands. Cabinet Minister. Member of the Privy Council. Initiator of the International Conferences of Private Law at the Hague. ALFRED HERMANN FRIED, Austria. Journalist. Founder of the peace journal Die Waffen Nieder (later renamed Die Friedenswarte). BUREAU INTERNATIONAL PERMANENT DE LA PAIX (PERMANENT INTERNATIONAL PEACE BUREAU) , Bern. AUGUSTE MARIE FRANÇOIS BEERNAERT, Belgium. 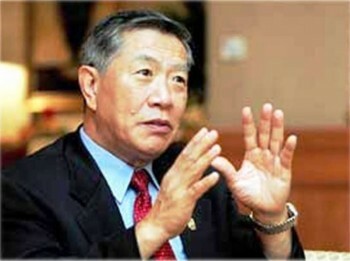 Former Prime Minister. Member of the Belgian Parliament. Member of the Cour Internationale d'Arbitrage (International Court of Arbitration) at the Hague. PAUL HENRIBENJAMIN BALLUET D'ESTOURNELLES DE CONSTANT, BARON DE CONSTANT DE REBECQUE, France. Member of the French Parliament (Sénateur). Founder and President of the French parliamentary group for international arbitration (Groupe parlementaire de l'arbitrage international). Founder of the Comité de défense des intérêtsnationaux et de conciliation internationale (Committee for the Defense of National Interests and International Conciliation). KLAS PONTUS ARNOLDSON, Sweden. Writer. Former Member fo the Swedish Parliament. Founder of the Swedish Peace and Arbitration League. FREDRIK BAJER, Denmark. Member of the Danish Parliament. Honorary President of the Permanent International Peace Bureau, Berne. 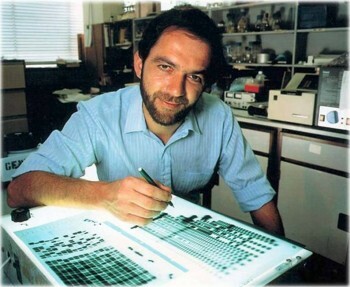 ERNESTO TEODORO MONETA, Italy. President of the Lombard League of Peace. LOUIS RENAULT, France. Professor International Law, Sorbonne University, Paris. THEODORE ROOSEVELT, USA. President of the United States of America. Drew up the 1905 peace treaty between Russia and Japan. BARONESS BERTHA SOPHIE FELICITA VON SUTTNER née COUNTESS KINSKY von CHINIC und TETTAU, Austria. Writer. Hon. President of the Permanent International Peace Bureau, Berne. Author of Die Waffen Nieder (Lay Down Your Arms). INSTITUT DE DROIT INTERNATIONAL (INSTITUTE OF INTERNATIONAL LAW) , Gent, Belgium. A scientific society. SIR WILLIAM RANDAL CREMER, Great Britain. Member of the British Parliament. Secretary of the International Arbitration League . ÉLIE DUCOMMUN, Switzerland. Honorary Secretary of the Permanent International Peace Bureau, Berne. CHARLES ALBERT GOBAT, Switzerland. Secretary General of the Inter-Parliamentary Union, Berne. Honorary Secretary of the Permanent International Peace Bureau, Berne. JEAN HENRI DUNANT, Switzerland. Founder of the International Committee of the Red Cross, Geneva; Initiator of the Geneva Convention (Convention de Genève). FRÉDÉRIC PASSY, France. Founder and President of the first French peace society (since 1889 it has been called the Société Francaise pour l'arbitrage entre nations). Westboro Baptist Church announced plans Wednesday night to protest Steve Jobs’s funeral, sending the message out. . .wait for it. . . via Twitter for iPhone. Margie Phelps, daughter of the small church’s founder and the lawyer who represented the church during their First Amendment case at the Supreme Court, (which Westboro won,) was among the Phelps family members to use Apple products to Tweet about the death of the Apple co-founder. “Westboro will picket his funeral.He had a huge platform; gave God no glory & taught sin,” Margie tweeted Wednesday night on her iPhone. The Topeka, Kan. based church is mostly made up of Phelps family members but has risen to international infamy because of their funeral protests of celebrities and American soldiers. The church’s members believe that God punishes America for its tolerance of sin, including acceptance of homosexuality. The iPhone-wielding Westboro members seemed unable to find any irony in their embrace of the technology of a man they condemn. One church member even suggested that God was using Jobs to help advance the message of Westboro Baptist Church: “God used Steve Jobs to create amazing STUFF for WBC to preach,” wrote Shirley Phelps-Roper. WASHINGTON: Steve Jobs, who brought joy to the world by simplifying computers and phones, logged out of life on Wednesday following an enervating seven-year battle with pancreatic cancer. The founder of Apple Inc and tech visionary is being mourned worldwide by millions whose lives he uniquely touched. A gizmo-God to geeks and gearheads, but also worshipped by klutzes and luddites alike for introducing beautiful form, elegant function and matchless simplicity to workday electronics, Jobs died peacefully surrounded by his family, including his wife of 20 years and three children. Presidents, CEOs and other luminaries sent in glowing tributes, but a timeless sentiment came from an Applehead who tweeted, "Life is smoother since we can touch instead of push." It was a reference to the feather-light, touch-driven operating process Jobs introduced that changed the look and feel of today's devices, brought aesthetics to electronics, and made it accessible to all. Another compared him to Gutenberg, the inventor of the movable type, while yet another called him the "Michelangelo of our times". Still others invoked Leonardo da Vinci and Thomas Edison. US President Barack Obama summoned his trademark eloquence in a tribute to Jobs, who was just 56, calling him "among the greatest of American innovators - brave enough to think differently, bold enough to believe he could change the world, and talented enough to do it". At a time of profound self-doubt in the US over its economic future, with jobs, as in work, on the minds of its leaders, Obama, himself owner of an iPad, said Steve Jobs "exemplified the spirit of American ingenuity... transformed our lives, redefined entire industries, and achieved one of the rarest feats in human history: he changed the way each of us sees the world". Indeed, America is gutted, and the outpouring of sadness and veneration surpassed that given to any hero or icon in the modern era. 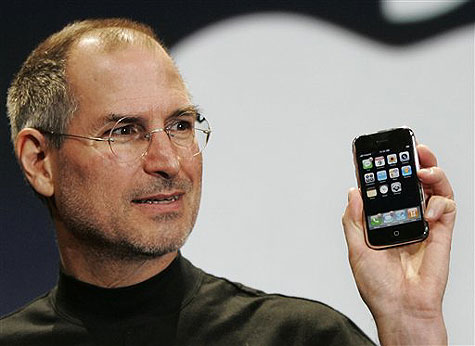 Even Jobs' great peer and contemporary, Microsoft's Bill Gates, was stricken by the passing of his sometime rival. "For those of us lucky enough to get to work with him, it's been an insanely great honour. I will miss Steve immensely," Gates said in a statement, recalling that they have been colleagues, competitors and friends over the course of more than half our lives. Facebook founder Mark Zuckerberg, who wasn't born when Jobs introduced the first Apple computer wrote: "Steve, thank you for being a mentor and a friend. Thanks for showing that what you build can change the world." The founders of Google and Yahoo issued similar statements in an outpouring that one industry writer compared to a "technological 21-gun salute". Reams are being written and hours are being broadcast about what Jobs brought into our lives, but someone put it in just one word: joy. Adults glowed with childlike happiness at owning an Apple device, a line-up that included Mac computers, iPods, iPhones, and iPads. Millions lined up overnight before Apple stores to receive new products as if it were manna from heaven. If India introduced the world's cheapest tablet computer for $ 35 (ironically on the day of his death), the inspiration behind it was Jobs. Indeed, India played a pivotal role in his development as is well-recorded in his profiles. He headed off to the subcontinent during his angst-filled days after college, eating free meals at a Hare Krishna temple in Oregon to save money for the trip, and got interested in Hinduism and Buddhism during his year-long travels there. He returned to the US dressed as a monk, and some credit the simplicity of Apple devices to his continuing practice of Zen Buddhism. About Gates, Jobs once joked, "He'd be a broader guy if he had dropped acid once or gone off to an ashram when he was younger." Now, it is Jobs who has gone off to a place beyond the ashram, having changed the world. At the List Universe we love to dispel myths – so here we are, yet again, presenting another list of common myths that need to be debunked and forgotten once and for all. This time we look at medical myths – of which there are thousands. This is a selection of the ten most common, but do feel free to add your own to the comments. Dr. Vreeman and Dr. Carroll, both pediatricians at the Riley Hospital for Children recently said: “in at least 12 double-blinded, randomized, controlled trials, scientists have examined how children react to diets containing different levels of sugar. None of these studies, not even studies looking specifically at children with attention deficit-hyperactivity disorder, could detect any differences in behavior between the children who had sugar and those who did not.” This includes artificial and natural sources of sugar. Interestingly, in the study, parents who were told their children had been given sugar when they hadn’t, noted that the child was more hyperactive. So it seems it is all in the parent’s mind. A military study many years ago tested the loss of temperature in soldiers when exposed to very cold temperatures. They found rapid heat loss in the head – and so the idea that we lose heat through our heads was born. But what they didn’t tell you was that the soldiers were fully clothed except for their heads. This obviously skews the statistics considerably. The fact is, completely naked, you lose approximately 10% of your body heat through the head – the other 90% is lost via the other parts of your body. The origins of this myth is most likely the fact that a 1945 government agency said that the human body needed around 8 glasses of fluid a day. This included the fluid from all of the foods we eat and drinks like tea and coffee. Somehow over time “fluid” turned to “water” and the modern water myth arose. This also lead to silly slogans like “if you are thirsty it is too late” – a concept that would seem to have been invented by water bottlers who have something to gain from excess water consumption in the population in general. So, in reality, if you are thirsty, drink some water. If you are not, don’t. I am sure we have all been told at least once in our life by a concerned adult, not to swallow gum as it will take seven years to leave our bodies. This is right up there with the whole “fruit seed growing a tree in your stomach” silliness, but while most adults realize the tree story is a myth, they don’t realize that the gum one is too. It is true that gum is not digestible in the human body, but it simply passes whole through your system. It doesn’t stick to your insides, it just continues along with any food you have eaten and pops out the other end. This myth may have partly arisen from the fact that swallowing gum was once viewed as lower class and ignorant. The cracking sound in the knuckles is caused by the bones moving apart and forming a gas bubble – the sound is the bubble bursting. It is quite common to hear someone warning a knuckle-cracker that they will get arthritis, but the worst that can happen to a compulsive-cracker is that their finger joints may weaken over time. Arthritis is caused by a variety of things (such as crystal formations in the case of gout) – but knuckle cracking isn’t one of them. 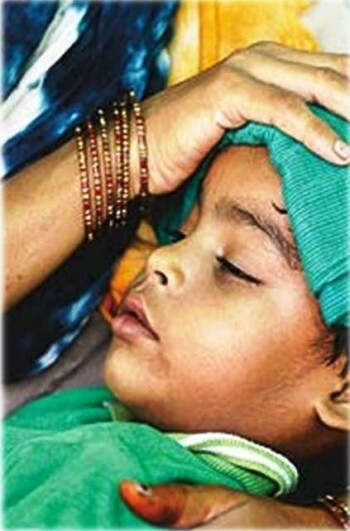 Scientific studies have been done in the area of teething which show no correlation at all between fever and teething. If your baby is suffering from a new tooth and they also have a fever, it is advisable to check for other causes of the fever. The same is true of diarrhea which is also often blamed on teething in infants. It is always better to be safe than sorry when dealing with the health of children. While this may have been almost true thirty years ago, medical advances have meant that modern cancer treatments are far more effective and cause less suffering for the patient. A few decades ago, 90% of children with leukemia died; today 80% survive. Many people think cancer is incurable as there isn’t a “one drug fixes all” cure, but there are many people who are completely cured of cancer. Various drugs exist to treat different types of cancer, and many of them are extremely effective and well worth trying if you do get the disease. The opposite is actually true in this case. Bed rest can prevent the lower back from fully recovering – or at the very least, delay the recovery significantly. Patients who continue to engage in ordinary activities recover faster and usually have fewer problems with recurring pain and other back troubles. Interestingly, many studies have shown that this is not just true of back problems, but also many other medical problems. Thirty-nine independent studies found bed rest to be more harmful than good in a broad range of illnesses. This is one of the most common myths on this list – and it pops up every year around Thanksgiving. But actually, chicken and ground beef contain almost identical quantities of tryptophan as turkey does. Other foods such as cheese and pork contain significantly more of the chemical than turkey. So why do people think turkey makes them sleepy? It is most likely due to turkey appearing at very large meals often eaten during the day rather than the evening. The heavy meal slows blood flow which can cause drowsiness, and the timing can have a huge psychological impact: in other words, you are imagining it. Secret snackers rejoice! This is a complete myth. It doesn’t matter what time of day you eat, as long as you eat only the total calories that you burn each day, you will not gain weight. If you eat fewer calories than you burn, you will lose weight, and if you eat more calories, you will gain. It is as simple as that. Having said that, the routine of three meals a day at the same time each day can have other benefits in life (routine is good and it helps humans work more effectively), but snacks at night are no worse than snacks in the morning or afternoon. With all the discussion around the net regarding the new 7 wonders of the world, I thought that a nice complement to that would the be the 7 wonders of the technological world. I searched around for inspiration and was surprised to find that no one has put together a really decent list. One of the prominent lists I did find included Microsoft Surface – how ridiculous! (I wonder who owns that newspaper). So, without further ado, here is the list of the Top 7 Wonders of the Technological World. This item will be the most controversial on the list I think. My reason for including it is the impact it has had worldwide on how we listen to music, how we buy music, and how we perceive entertainment as a whole. The iPod was not the first portable digital music device, but it has undoubtedly had the most effect of all. It has spawned an entire industry of supporting gadgets and accessories and it has been the basis of the only successful attempt by any company to break the Recording Industry’s hold on music distribution. For that alone, we owe Apple Corporation a big thank you. Some 60 years ago the world was plunged in to one of the greatest wars known to man. Not so many years after that we were thrown in to the cold war. Who would have believed that before the end of the 20th century, countries that were bitter enemies for the larger part of the century would join together to create a space station? The countries participating at present are the United States, Russia, Japan, Canada, and numerous European nations. The Space Station has enabled us to learn that we can work together peacefully, especially in the pursuit of scientific knowledge. In the early 1980s, NASA planned Space Station Freedom as a counterpart to the Soviet Salyut and Mir space stations. It never left the drawing board and, with the end of the Soviet Union and the Cold War, it was cancelled. The end of the Space race prompted the U.S. administration officials to start negotiations with international partners Europe, Russia, Japan and Canada in the early 1990s in order to build a truly international space station. This project was first announced in 1993. The first section, the Zarya Functional Cargo Block, was put in orbit in November 1998 on a Russian Proton rocket. Linux has to be on the list for the very fact that it truly opened the door to Open Source software to more people than any other open source project. The very fact that so many people can work together without meeting face to face to bring together such a complex project as an operating system – and to make it good enough to compete with the giants in the industry, is a wonder in itself. The project started as the brain child of Linus Torvalds. In 1991, Linus Torvalds began to work on a non-commercial replacement for MINIX (another Unix-like operating system) while he was attending the University of Helsinki. With code from the GNU system freely available, it was advantageous that this could be used with the fledgling OS. Torvalds initiated a switch from his original license (which prohibited commercial redistribution) to the GNU GPL. Linux and GNU developers worked to integrate GNU components with Linux to make a fully functional and free operating system. Since its launch in 1990, the Hubble Space Telescope has become one of the most significant instruments in the history of astronomy. Children of today do not need to look in to the sky and wonder – Hubble has brought the beauty of the heavens to the face of the earth. The Hubble telescope has enabled a multitude of incredibly discoveries about our universe and origins to be made. It has also provided us with some of the most beautiful images of all time. To understand the true value of this telescope, consider the Hubble Ultra Deep Field – the deepest image of the universe ever taken in visible light, looking back in time more than 13 billion years. It is impossible to look at this image and not feel a sense of awe at the technological achievement that made it possible. For your viewing pleasure, here is a full 3100 × 3120 pixel copy of the HUDF. The history of the Hubble Space Telescope can be traced back as far as 1946, when the astronomer Lyman Spitzer wrote the paper Astronomical advantages of an extra-terrestrial observatory. Spitzer devoted much of his career to pushing for a space telescope to be developed. In 1962 a report by the U.S. National Academy of Sciences recommended the development of a space telescope as part of the space program, and in 1965 Spitzer was appointed as head of a committee given the task of defining the scientific objectives for a large space telescope. On April 24, 1990, Space Shuttle Discovery launched in Florida, taking the Hubble Space Telescope in to space. When lasers were invented in 1960, they were called “a solution looking for a problem”. Since then, they have become ubiquitous, finding utility in thousands of highly varied applications in every section of modern society, including consumer electronics, information technology, science, medicine, industry, law enforcement, entertainment, and the military. Every day virtually every person is effected in one way or another by lasers. In the medical field, lasers have revolutionized surgery and we can now restore sight to the near-blind with their help. 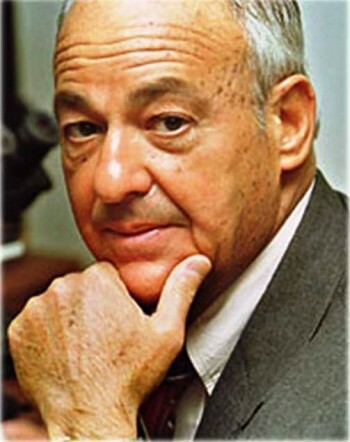 With its origins in the theories of scientists like Einstein, in 1960 Theodore H. Maiman created the first working laser at Hughes Research Laboratories in Malibu, California. It used a solid-state flashlamp-pumped synthetic ruby crystal to produce red laser light at 694 nanometres wavelength. Later that year, Iranian physicist Ali Javan, working with William Bennet and Donald Herriot, made the first gas laser using helium and neon. There will be no controversy about this entry. The computer has changed the world so much that we could say we are now living in the computer age, having left the industrial age well behind us. Computers are used in virtually every arena of human life – including medicine, science, crime detection, entertainment, and much much more. The computer has revolutionized so many aspects of our lives that it is now hard to imagine life without it. In 1837, Charles Babbage was the first to conceptualize and design a fully programmable mechanical computer that he called “The Analytical Engine”. Due to limited finance, and an inability to resist tinkering with the design, Babbage never actually built his Analytical Engine. Large-scale automated data processing of punched cards was performed for the U.S. Census in 1890 by tabulating machines designed by Herman Hollerith and manufactured by the Computing Tabulating Recording Corporation, which later became IBM. Admittedly, without computers, we would not have the Internet, but the Internet far supersedes the computer in order of importance. It is fair to say that the Internet is the new Library of Alexandria. The Internet now stores an immense portion of human knowledge and it is not just available to an elite few – it is available to every man, woman, and child in the free world. For many of us, our daily life relies heavily on the internet – not just for information gathering and research, but for shopping, entertainment, news, and communication. It allows us to speak to any person on the planet without the high costs imposed by telephone companies. The Internet has launched the careers of many great artists – people who would normally be overlooked by the mainstream industries they work in. There can be no doubt, the Internet is the greatest wonder of the technological world. The USSR’s launch of Sputnik spurred the United States to create the Advanced Research Projects Agency, known as ARPA, in February 1958 to regain a technological lead. After much work, the first node went live at UCLA on October 29, 1969 on what would be called the ARPANET, one of the “eve” networks of today’s Internet. The first TCP/IP-wide area network was operational by January 1, 1983, when the United States’ National Science Foundation (NSF) constructed a university network backbone that would later become the NSFNet. It was then followed by the opening of the network to commercial interests in 1985. Important, separate networks that offered gateways into, then later merged with, the NSFNet include Usenet, BITNET and the various commercial and educational networks, such as X.25, Compuserve and JANET. Modern science has been very eager to discover and know medicines and ways to cure diseases. With the help of the new and high technology we already have, it has been possible for science to make effective medicines for certain diseases that were incurable before. However, not all illnesses can be cured. Here is a list of the top ten ailments and sicknesses that still so not have treatment these days. Check it out to be informed and be knowledgeable on what ailments should be prevented. Also known as a poliomyelitis or infantile paralysis, Polio is a viral infectious disease in the nervous system. It starts with fever, nausea, fatigue muscle pains and headaches. Eventually the person will have a permanent paralysis of his muscles in different parts of the body like the throat, chest or limbs. Polio has been known to have no cure but polio vaccines are actually available around the world for the help of its prevention. It should be better to have a child checked up to a physician early on to diagnose if there are signs of it. Otherwise, there will no longer be a way out. The incurable virus is responsible for a deadly viral fever which is from chimpanzees and gorillas and can now be found in humans as well. It first occurred in 1976 at The Congo basin of Central Africa. The symptoms of the Ebola Virus are rashes, fever, and hemorrhage. Effects can be as uncanny seeing a person become mentally insane and incapable of judgment and making decisions, which will eventually come to death of an individual affected with this disease. 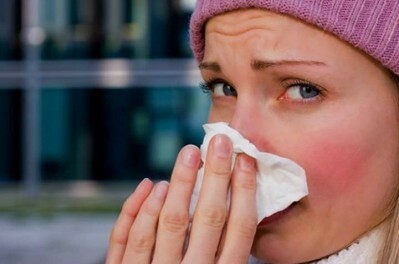 Influenza is known by most people as the flu. It is an infection of the upper or lower respiratory tract. Its symptoms are chills, muscle pains, fever, and sore head and abdomen. It is caused by numerous strains categorized as A, B and C types of orthomyxoviruses. This disease is famously known as lupus. The disease is an autoimmune disorder that triggers chronic inflammation in the different parts of the body.There are three types of lupus: The systemic, drug-induced and the discoid. 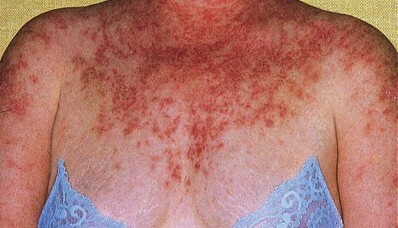 The Discoid lupus attacks only the skin and does not affect internal organs most of the time. While Systemic Lupus is the usual type that people get. Symptoms of this kind of Lupus attack kidneys, joints, hearts, the skin, the brain and membranes. 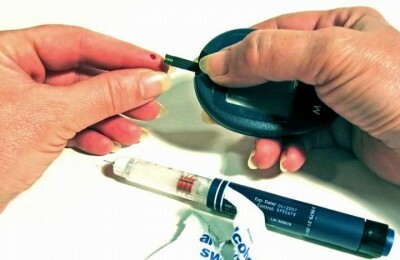 Although Diabetes is rampant, and many people would not think that it is actually, incurable, well, it actually is. The disease damages the breakdown of carbohydrates. 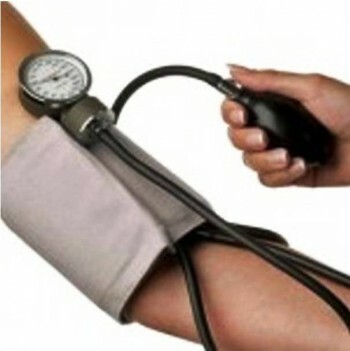 This causes the incapacity to generate insulin and preserve a normal level of blood sugar. There are two types of Diabetes, the Type I diabetes which is also known as the insulin-dependent diabetes mellitus, and the Type II diabetes which is called non-insulin-dependent mellitus. The former mostly occurs in childhood and the latter usually begins after 40 years of age. The disease is incurable but there are ways that can help reduce the severity. These ways are by taking daily insulin injections and oral medications. The Creuxtfeldt-Jakob disease is an uncommon fatal disease that attacks the central nervous system. This disease occurs mostly to adults in their 40s to their 70s. The symptoms of the disease are behavioural or psychiatric changes, dementia and eventually abnormal vision and involuntary movements. Another incurable disease is the HIV or AIDS. Almost all of you know that AIDS does not have a cure or treatment. This disease is transmissible and attacks the immune system. This damages the immune system making it vulnerable to infections and other diseases, which may cause death. AIDS is the final and worst stage of HIV infection. This is when fatal infections and even cancers begin. Records show that there are 38 million people who have HIV, about 5 million who catch the disease each year, and around 3 million people die because of the disease each year. Most of you might be surprised. 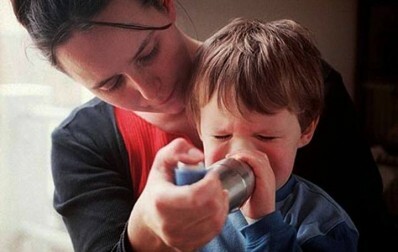 Yes, Asthma is one of the top ten incurable diseases today. Asthma is a chronic disorder of the lungs. The airways of the lungs are swollen and most likely are prone to tightening and this causes wheezing, coughing, chest pain, and breathlessness. The swollen airways are sensitive to certain stimuli including animal dander, air pollution, cigarette smoke, medications, pollen, dust mites and exercise. Most of the victims of Asthma attack are children ten years or lower and mostly boys get the disorder more than girls do. This is another disease or infection that is surprisingly incurable. Although a lot of people have and get the common colds almost every day, this acute viral infection doesn’t have its own cure. A lot of aspects and viruses cause the common colds; this includes parainfluenza, influenza, reoviruses, and respiratory syncytial viruses and Rhinoviruses, which is the most common cause. We all know that Cancer still does not have a cure. 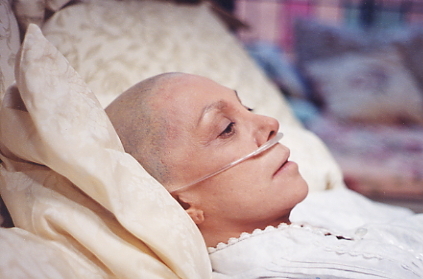 Cancer indicates around 100 unique diseases categorized by the growth of abnormal cells in the body. It is actually one of the major causes of sickness and death all over the world. Although there is no exact cure for cancer, there are still improved treatments like diagnosis, surgeries, therapies and chemotherapeutic drugs. One of the dreadful diseases which is now prevalent in some Asian countries such as the Philippines and India have caused panic, pain, and grief to those people who have lost their loved ones with a simple sting of a mosquito known as the Aedes aegypti. It does not choose people, the moment it bites you, symptoms would start to occur and appear. It is much harder for infants and kids since they cannot even explain the things that they feel inside their body and most of the time, they would just cry. 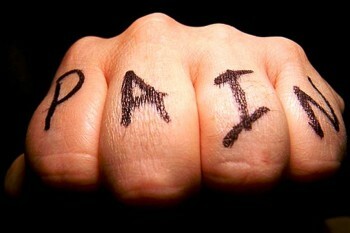 Hence, with teenagers and young adults, they can explain how they feel and which part of their body they feel pain. Yet, it does not mean that their lives are exempted from any death threats. For us to be proactive together with our loved ones against this striking and epidemic Dengue disease, which commonly happens in tropical countries and areas of the world, observe these 10 symptoms to avoid any dangers and complications. This is the first common symptom, which cannot be identified right away that an individual has dengue fever because at times, it could be due to restlessness, especially if the person is working or active in school. At times, this is associated with too much stress. Hence, this is the first symptom that one has to observe, particularly where parents have to be vigilant for their kids and infants. This is included with the common or mild symptoms of dengue where appetite to eat has decreased. This is apparent within the first 4 hours after Aedes aegypti left a sting on its victims. This is also normal to all who have fever since the virus that exhibits in the body and running in the blood vessels that causes irregular function in the whole body system, is creating an impact. The person would start to feel pain on the side of their eyes then a swelling motion or heat. A feeling of tiredness on the eyes can be felt where an individual would choose to sleep more than stay awake. However, for infants, a feeling of irritation will be manifested where they cry more and move their bodies. This is the start of other body pains but this is part of the earlier signs during the first few days where a severe ache could be felt in the legs. Some do not actually experience this symptom but the seventh to tenth signs, they are becoming common that can be used a guide to be cautious and on guard to avoid any serious problems, especially if the case has been aggravated. First, you would feel that it is just a normal fever with a typical temperature that can be recorded and manifested. But as hours and days pass by, a rapid climb of body temperature can be noted. This is the reason that you have to monitor body heat proactively so you could know the difference. There is also a sudden drop down of temperature. This is critical and you should not be complacent because it is a sign that the virus has invaded the body. 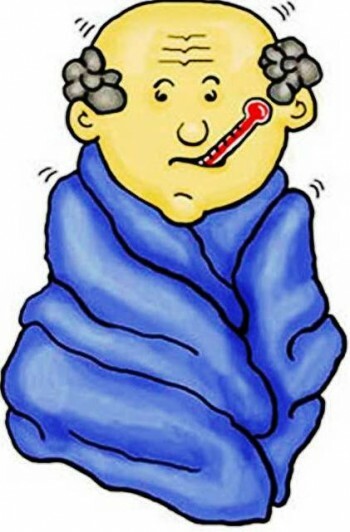 Along with nausea, vomiting, and pain in legs, headache is associated with mild to high temperatures due to fever. To those who are experiencing it consistently where the pain increases each day, should better go to a nearby hospital for them to be checked. 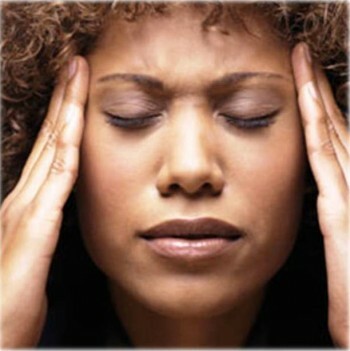 Home remedies are not sufficient to alleviate headaches because the root cause is not yet treated or identified. This is one of the obvious symptoms of dengue since the basic symptoms from four to ten days have been shown. It is an indication that the virus has totally incubated in the body system. It causes weakening to joints and muscles, especially in the lower and upper back of the body. At times, people identify this symptom for malaria, which everyone is almost aware, has the same signs. Hence, both are dangerous to the health and the life of everyone. This is one of the critical signs because there is an associated bleeding in gums that gives an impression that the condition of the patient is at risk. In most cases, doctors would advise blood transfusion to avoid further blood loss, which would cause death if not identified right away. This is the reason why you have to take note of the six to ten symptoms rather than taking self-medication since it does not give a guarantee that medicine for fever, headaches, and body pains would fight and treat the problem. They are just good for support but it cannot lessen the symptoms. It would just start as small flushing pink rashes and later on when it reaches the second phase of the development of infection left in the body, increased rashes would appear on the face and would spread on other parts of the body. An extreme case of it, the body would swell later on, including the soles and palms, which are characterized with swollen and bright red rashes. Consistent sweating can be seen and felt. It is an impression that the patient’s case has reached its severe state. We do not want to lose our lives neither the lives of our loved ones. By taking precautionary measures by being aware of the symptoms, it would help us to avoid further complications that might inflict more pain to us and could prolong the pain. Check and Get ready. In the science field, he was a pioneer himself in forensic science study. He is a well-known British science and a forensic expert that has contributed the DNA printing and DNA profiling, which is a valuable contribution for crime laboratories across the globe. He is prominent in detective work, paternity testing, and immigration disputes. He is teaching at the University of Leicester in the field of genetics too. 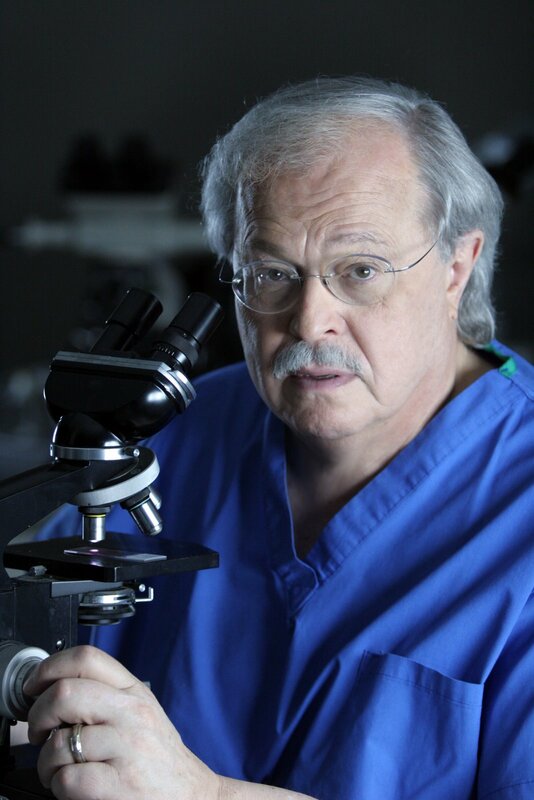 A renowned forensic anthropologist that has an exceptional ability in identifying human remains and he even wrote various books that can be classified as fictions and non-fictions. 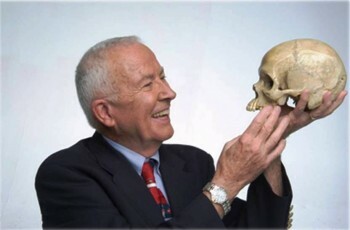 He became a professor at the University of Tennessee where he also established the Forensic Anthropology Research Facility, which is also known as Body Farm that discusses identification techniques, which he willingly shared. 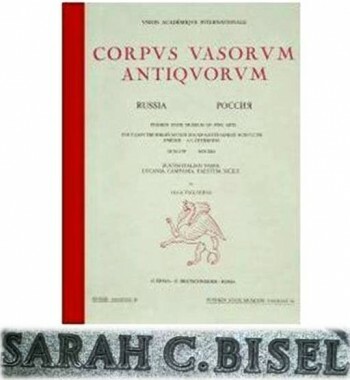 She holds a degree in Biochemistry along with classical area studies. Her focus is all about the health condition of the individual, especially evaluation of patients’ health conditions and specifically advanced content such as a deep study that she had in stomach content. Being a forensic pioneer expert allowed her to discover and research intensively, where her theories and processes have improved health and nutrition condition. He finished medicine and law at the same time at Lyons and later on served as a criminology assistant to Mr. Alexandre Lacassagne. His experiences while working with Mr. Lacassagne has aided him to form the first police laboratory at Lyons Police Department where he had two assistants intended for two attic rooms. He is known for his incredible tenet about forensic science, which he personally formulated. He was and is still an inspiration to all forensic pathology students who are taking or studying this degree. His popularity was heightened because of his techniques in this field, which he has boosted in the 19th up to 20th century. He inherited this intellectual and strong yearnings from his great grandfather who was a forensic surgeon named Benjamin Bell. Indeed, it runs in his blood and it could be passed on to one of his children. His name was being echoed in the middle of 20th century and is still an inspiration to other anthropologists these days. He held a Ph.D., which allowed him to publish his book, which was co-authored by Michael, Broning entitled “Dead Men Do Tell Tales: The Strange and Fascinating Cases of a Forensic Anthropologist”. He became known for solving most of the unsolved cases that made him a noted anthropologist in his time. She might be a woman, but her strong passion in anthropology specializing in studying the causes of human deaths by examining their remains, even when they are in advance decomposition. She also studied this as part of her advance learning. 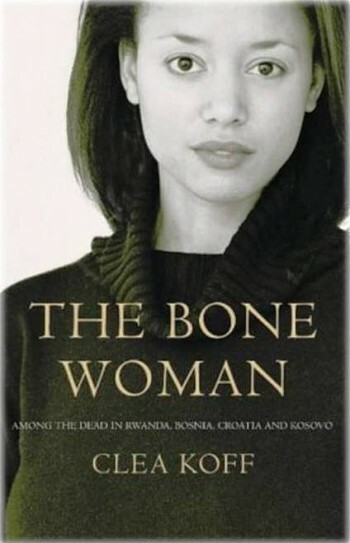 She finished a degree in forensic anthropology and had stayed in the United States, Bosnia, Rwanda, Coatia, Kosovo, and Serbia. She formed The Missing Persons Identification Center where she has been a great aid to help people identify their loved ones. He became popular because of his medical insights in relation to forensic pathology leading to the solution of the famous cases. He even hosted the famous HBO show entitled “Autopsy” and also worked at Fox News Channel. He served as Chief Medical Examiner from 1978 to 1979 in New York City. Some of the cases that he handled were involved with famous people such as John F. Kennedy, Phil Spector, O.J. Simpson, and others. He started as a musician where he became a concertmaster from the University of Pittsburgh. Hence, his paths change when he worked at the Air Force where he became a forensic pathologist. 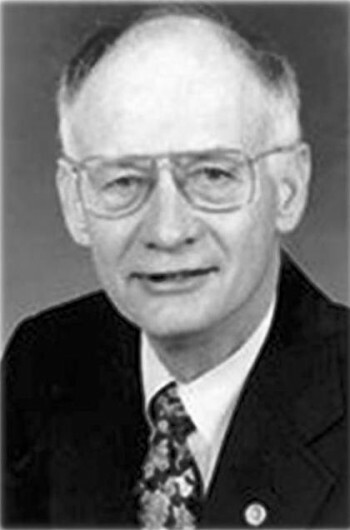 He served as coroner from 1970 to 1980, and 1996 to 2006. Because of the Chinese Civil War that his family experience, they moved to the United States where he studied Forensic Science and got his Ph.D. in biochemistry later on. He had handled the most sensitive and controversial cases that almost destroyed his career. But now, he is the most sought expert in this era.